Here's an unusual utility gimmick with amazing possibilities! This is a cleverly gimmicked magnetic card, which may be used with any ordinary matching Bicycle deck. It's a thick card, so it's easy to use as a locator card. 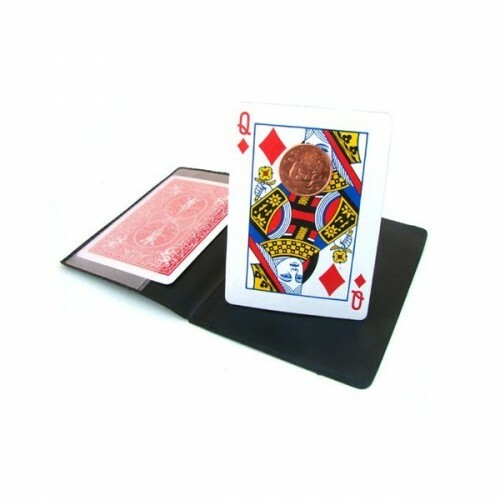 With the aid of this Chop Card, a few regular cards, and some magnetic coins, small keys or other flat magnetic objects, you can perform dozens of close up mysteries with very little skill or practice. This Chop Card is made with genuine Bicycle Cards and will match any Bicycle deck. It is supplied complete with many excellent routines for its use.